Lawrence Patmon, age 83, of Goodland passed away, February 2, 2019 at the Smoky Hill Rehabilitation Center in Salina, Kansas. 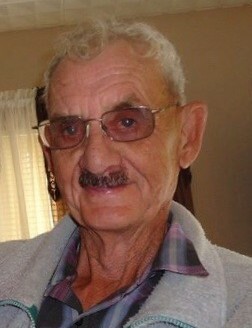 Lawrence was born March 24, 1935 to Clarence and Cora Pearl (Garner) Patmon in Goodland, Kansas. Lawrence worked as a mechanic. He enjoyed riding motorcycles, playing his guitar and mandolin, working on all kinds of vehicles, and spending time with his family. Preceding him in death are his parents; grandparents; wife, Barbara; son-in-law, Jim Bishop; stepson Paul Edward Williams; brother, Huey; and sister, Mable. He is survived by his children, Loriena Robinson of Salina, KS; Clarence (Karen) Patmon of Smolan, KS; Janet (Steve) Nicholas of Salina, KS; Tracey Bishop of Salina, KS; step children Ben (Angie) Williams of Plains, KS; Terry (Keith) Rosin of Sharon Springs, KS; Rebecca Rubio of Wichita, KS; grandchildren: Manuel Rubio IV, Vincent Rubio, Nicholas Rubio, Kristofer Rubio, Megan Rubio, Eric Winder, James Winder, Sarah Gilmore, Amanda Williams, Alyce Williams, Melanie Scott, Shawna Patmon, P.J. Davenport, Joshua Patmon, Katrina Simoneou, Echo Potts, Freedom Nicholas, Stormy McGreevy and Jimmy Bishop; many great grandchildren; and his sister, Esther Kibel of Grand Junction, CO.
Funeral service will be Wednesday, February 6, 2019 at 11 a.m. MT at Bateman Funeral Home, 211 East 11th Street, in Goodland. Interment following the service at the Goodland Cemetery, North Main Street.